One of the most attractive reasons to purchase a hot tub is that it can be used all year. 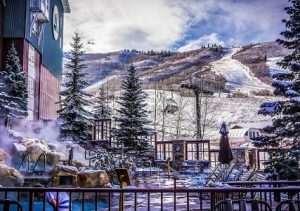 In fact, many people enjoy relaxing in the hot, bubbling water as cold air surrounds them or snow floats softly to the ground. Unlike pools, winterizing your hot tub is not something you need to do as soon as the weather turns cold. However, if you decide to spend the winter away from home or if you have decided not to use your hot tub over the winter for whatever reason, it is important to protect your hot tub from damage by winterizing it. First, turn off the power. This includes turning off circuits to guarantee there is no electrical power coming to the hot tub. Open the drain plug to start removing water. It will take some time using the drain plug to remove the water, so if you want to remove water quickly, consider using a sump pump. A hose attached to the drain plug can also speed up the drainage. If your hot tub has an air blower, you also need to remove the water from it. Turn off the heater to avoid accidentally turning on the tub without water as this can damage the heating element. Replace the cover and reconnect the electric to run the air blower. Allow it to run for 30 seconds and then turn the power off again. Remove the cover gain and take out all the filters inside the well. Clean the filters with a cartridge cleaner. It is recommended that you allow them to soak for 24 hours to clean them thoroughly before you store them for the winter. Use a shop-vac to remove any water that remains in the filter well. If it is only a little bit of water, you may be able to remove it with a sponge. If these steps are too complicated or you are unable to perform the winterizing yourself, a hot tub company like Anchor Pools & Spas can provide a professional to perform the service for you. Open up the cabinetry and locate the hot tub pump. There could be more than one pump if your hot tub is large. If there are fittings attached to the PVC pipe, loosen them. Remove the pump drain plugs to allow water that could form due to condensation to drain from the pipes. Store the drain plugs safely for reinstalling when you start your tub back up. Once the pipes, pump and filters are all drained, you will probably have additional water in your tub. Use a sump pump, shop-vac or sponges to remove all water. The hot tub needs to be completely dry. Once the tub is completely empty, scrub the inside of it with hot tub cleaner. Some do not require rinsing, but if the one you choose needs to be rinsed with water, remember to dry the tub completely after cleaning. You also need to clean the cover using hot tub cover cleaner. Remember to clean both the inside and outside of the cover. Once you have completely cleaned the tub and cover, reattach the cover securely. 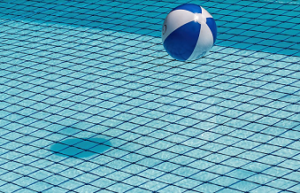 If your cover has a locking mechanism, use it to prevent anyone from getting into the hot tub or it blowing off during winter wind storms. If you do not have a locking cover, secure the cover with straps that can be locked down. Moving can be a stressful and strenuous process due to the enormity of the project that has to be completed in a short period of time. For those who have little kids in tow, the task can be even more challenging. To ensure that you can have a smooth move with small children in your care, there are a few important tips to practice. Your kids can be occupied if you give them new games or toys to play with during the move. This will allow them to take an interest in crafts or puzzles that will make it easy to have them remain quiet as you load the boxes. Instead of attempting to lift heavy items while chasing your kids around the home, opt for hiring a moving company like Wheaton World Wide Moving. The professionals can pack up your personal belongings for you before loading them up into the moving van to ensure that you get on the road as soon as possible. It’s important to a family member or friend to watch your child as you begin to move out of your home, according to mom.me. You can have them entertain your little one with toys in an empty room in the home or even play with chalk in the backyard. Having someone to supervise your kids will make it easier to keep them safe and out of the way. Grandparents may be willing to help out as well. Many parents quickly learn that it can be close to impossible to pack the home up with kids running around. 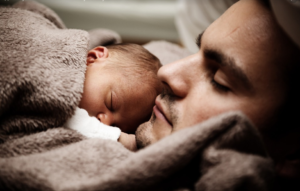 Make it a point to load up the items and seal the boxes when the children are sleeping during their naps to ensure they don’t make more of a mess of everything, according to washingtonpost.com. Having children in your home can make the most basic tasks take longer than expected. Start packing your home and getting ready for the move several months in advance to ensure that you can avoid stress while caring for your kids. When you’re getting ready to relocate to a new property, it’s important to ensure that you can complete the task smoothly with little kids in tow. By staying organized and planning ahead, you can successfully move homes and avoid excess anxiety during the process for an easy transition. 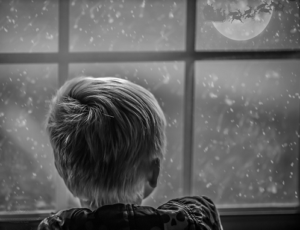 I can’t wait to see my grandkids on Christmas day…So excited! They are both at the right age for some fun on the holidays!! A recent survey showed that the majority of Americans love shopping for others. The only hiccup that some experience while shopping is trying to find the right gift. This guide will help you choose the right present so that you do not experience awkward moments when you present your gift. What’s the Deal With Gift-Giving? Most experts believe that the reason some people love to give is because it gives them a psychological reward. People seem to have an emotional high when they get the opportunity to give, which could be one of the major reasons why Americans love to give gifts. However, you also want to make sure that you find the best possible gifts for the ones you love. So here are just a few ideas to help you find the best possible gift. You might be thinking of buying a gift that is sold by the thousands. This means that the gift is probably not too unique. One way to make sure that your gift is special is to personalize it. You can engrave a piece of jewelry or get your loved one a customized shirt from a place like Absolute Screen Printing or a similar place. That way you can make your gifts individualized and personal for everyone. Follow old Saint Nick’s tip, and try to make a list. The list should include everything that the person you are buying the gift for is interested in. Connect a gift to the list of likes. Remember that you do not have to get every gift; just choose one that you feel works best. Social media has given everyone a little more access, and you can use this access to your advantage. The idea is to stalk his or her social media pages for clues about what he or she may want. Some people have used the person’s laptop or smart device to see if there is a wish list on certain shopping applications. Of course, there are times when buying a gift becomes impossible. At this point, the best thing that you can do is simply give cash. Now, this does not mean that you have to give someone cold cash. Perhaps, you can give a gift card. The best gift cards are from major credit card companies because your loved one can go anywhere. Be sure to make it fun for your loved one, too. Maybe you can give your loved one a treasure map to make finding the money fun. Finding the best gift is never easy, but it is always worth it. There is definitely nothing better than seeing the face of the people you love light up with a thoughtful gift. That definitely makes all of the effort well worth it. Although summer is swiftly coming to a close and chillier days are upon us, you don’t have to put away all your warm weather gear just yet. Luckily, there are a variety of fun ways to incorporate sunnier activities into your winter regimen. While summer may be the time for outdoor campfires, s’mores, and falling asleep to the sound of crickets, winter is prime ‘glamping’ time: camping in luxurious style. 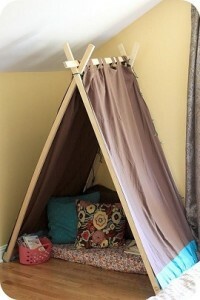 Set up a tent in the living room and pile it high with comfy pillows, string up twinkling lights in lieu of fireflies, and play some fun nighttime nature sounds on the stereo. Indoor community pools generally stay open all year-round, so what better time to enjoy a beach day than on a snow day? Lay out brightly colored towels and blankets and bring suitable poolside snacks and toys to enjoy in between splashing around. You can even add some gorgeously fun flair with a mermaid Shimmer tail, and turn the pool into an instant tropical lagoon. This is definitely a great way to relive some of the joys of summer. Head to the basement or family room, push the furniture aside, crank up the surf rock and hold a vintage-inspired indoor dance party, with all the #1 beach hits and appropriate styles to accompany. Serve up soda fountain classics like root beer floats and ice cream sundaes, with Madmen-style summer cocktails for the adults. Winter is all about keeping the spirit of summer alive, and with a little creativity you can enjoy all your favorite activities long after summer vacation’s come to an end. 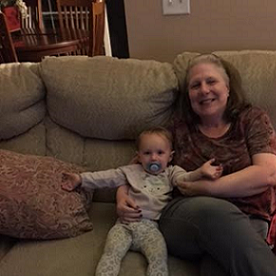 You’re a Grandma, and your grandbaby makes you smile every day. You can’t wait to feel her smooth skin next to yours as you pat her to sleep. Your experience caring for your grandbaby becomes even sweeter for you and her when you stock six must-have baby supplies in your home. Naptime is an important ritual for most babies, and you’ll probably appreciate her downtime for a nap of your own. Simplify naptime with a crib. When shopping for cribs, choose one that’s constructed with JPMA certified materials. It should include a comfortable mattress. Provide a sheet and blanket to help your grandbaby nap comfortably, but limit stuffed animals and oversized blankets that pose suffocation risks. Assemble the crib in a quiet room, and give your grandbaby a place where she can sleep peacefully. You could sit and hold your grandbaby all day, but you sometimes need a safe place to lay her down. Especially when you need a bathroom break or must walk into another room, a portable play yard protects your grandbaby. This essential piece of furniture includes mesh sides, sturdy legs and a mattress. It won’t collapse or tip over. Whenever you need to take a quick break, confidently place your bundle of joy into this safe enclosure that protects her until you return. As soon as your grandbaby eats solid foods, she’s ready for a booster seat. It straps securely onto your kitchen chairs and folds for easy storage. It includes a 3-point safety harness, machine washable chair pad and dishwasher safe tray. As your grandbaby grows, she can pick up small pieces of food you place on the tray and feed herself. The chair also serves as an activity center where she can safely sit and play with toys while you prepare lunch. Most babies love brightly colored toys that make noise. Set aside a few toys your grandbaby can easily hold in her hand. Make sure the toys include baby-safe materials and no sharp edges. Every grandma knows that mealtime can be messy time. Give baby a bath, and clean her up before play or nap time. Just remember to buy the same brand of baby soap and shampoo that your grandbaby uses at home, and prevent painful and itchy rashes on her sensitive skin. Baths are also great for calming fussy babies, as part of a bedtime routine or after a diaper mess. You’ll both be grateful for the bathtub that freshens your grandbaby any time of day. Sick babies long for their moms, and you may occasionally be caring for your grandbaby when she’s not feeling well. Stock a supply of infant first aid products. It will include items that provide physical comfort when baby doesn’t feel her best. The joy of being a grandma is almost incomparable to any other experience. When your grandbaby visits, enjoy your time and keep her safe and comfortable with six must-have baby supplies. With these items, you will both enjoy your precious time together. Danielle writes on behalf of Sears and other brands she uses. Her sister keeps a full size crib at her mom’s house, but Danielle is considering getting them a fold-away crib that takes up less space for Christmas. “Gramma, Gramma. Are you awake? Gramma, Gramma, I want to bake! Right now! Please, Gramma! I wanna bake! Slowly my eyes open searching for the clock…almost 7 a.m. and, heavens, a little female creature peeks around my bedroom door to see if I’m awake. Now, of course, anyone knows that 7 a.m. is a great time, maybe the best time, to make cookies, even if you’re not quite awake. But if you have a little four year old, red haired, curly headed granddaughter insisting on making cookies NOW, it is definitely the best time. So, I roll out of bed not resisting this little eager child as she leads me from my bedroom. What a sight I must be in baggy pjs and uncombed hair. She doesn’t care how Gramma looks. We are headed for the kitchen to get the baking action started for the day. Baking has played a huge role in my life. As a child, whenever my mother baked, I stood on a chair next to her at the kitchen counter. Watching her every move, I begged her to let me crack the eggs, blend the sugar and butter together, sift the dry ingredients together, and mix it all in the bowl. In spite of the clouds of flour and the puddles of milk on the counter and floor, I think she enjoyed teaching me the various stages of creating a cake. The exception to the fun, I am sure, were all the times I found it important to check the batter. The frequency I dipped into the mixture with my little sticky fingers had to be frustrating for her, but if so, she never mentioned it. She was very patient with me. By the time I was nine, she suggested I bake alone, either because she really felt I was ready for my solo flight or she had had enough batter tasting. The tradition of baking and batter sampling continued with my own daughter as she took to baking as obsessively as I did. Like I had done, she stood next to me at the counter begging to help, especially when it was time to crack the eggs. 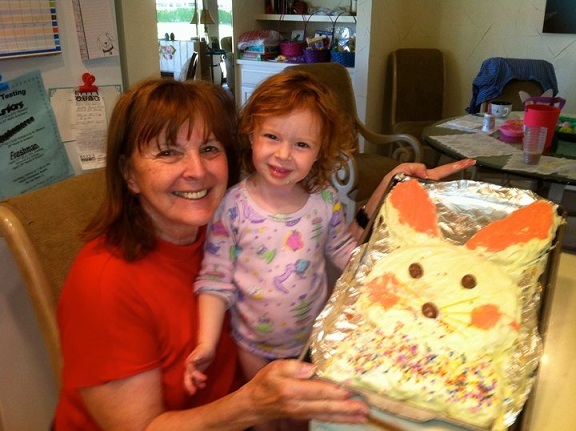 As I remember, she was much more insistent about doing it “by myself” than I had been, so at a younger age I allowed her to take over the baking process with her own exuberant style. Her creations were new and not found in any recipe book. Fearlessly she unleashed her wild imaginative baking techniques which of course included testing the batter often…so often in fact little was left for the pan and the oven. The final product was camouflaged and oozed with icing, leaving her father and me to guess just what she had made. No matter….whatever it was, naturally, was delicious. So, now this morning the family baking tradition is again unleashed. I am in the kitchen at 7 a.m. with a large mixing bowl, measuring spoons, wooden mixing spoons, and a cookie sheet spread before me on the counter. I guide my little granddaughter’s cookie making enthusiasm as best I can, but she has her own ideas. Water is poured into a measuring cup she now claims as her own and poured precariously into the bowl. With a grand flourish she stirs vigorously with her own wooden spoon saved for these occasions. But never, never fear, she does not forget the very necessary sampling of the batter time and time again. With already sticky and often licked fingers, she begins to form the cookies on the sheet. The cookies are abandoned. She drags me to the patio where pots of fresh potting soil wait to be planted with flower seeds….and….and….but I’m afraid our gardening adventures are another story for another day. Welcome Lori Lauth To Grandma’s Home Blogger Place! I wanted to take this opportunity to welcome a new guest blogger… Lori Lauth from Life Lessons For Christian Women to our family of bloggers. I met her on Twitter. Lori Lauth has a heart to encourage and draw women to pursue an authentic relationship with Christ, to teach them to be Godly wives, mothers and children of God. You can read more about Lori Here.